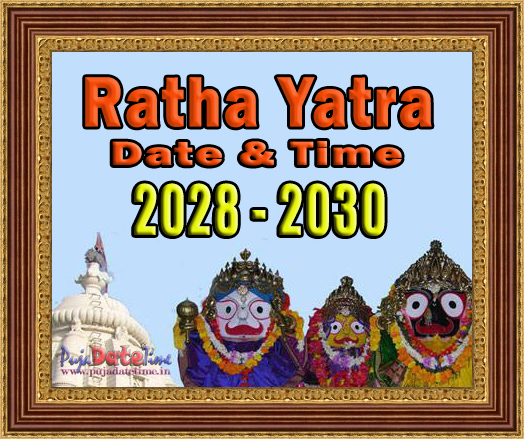 2018 to 2030 Rath Yatra Date & Time in India., 2019 - 2030 रथ यात्रा तारीख व समय, ২০১৯ থেকে ২০৩০ রথযাত্রা তারিখ ও সময়, 2019 to 2030 Ratha Yatra Puja Date Time,2018 to 2030 Puri Jagannath Rath Yatra - रथ यात्रा. 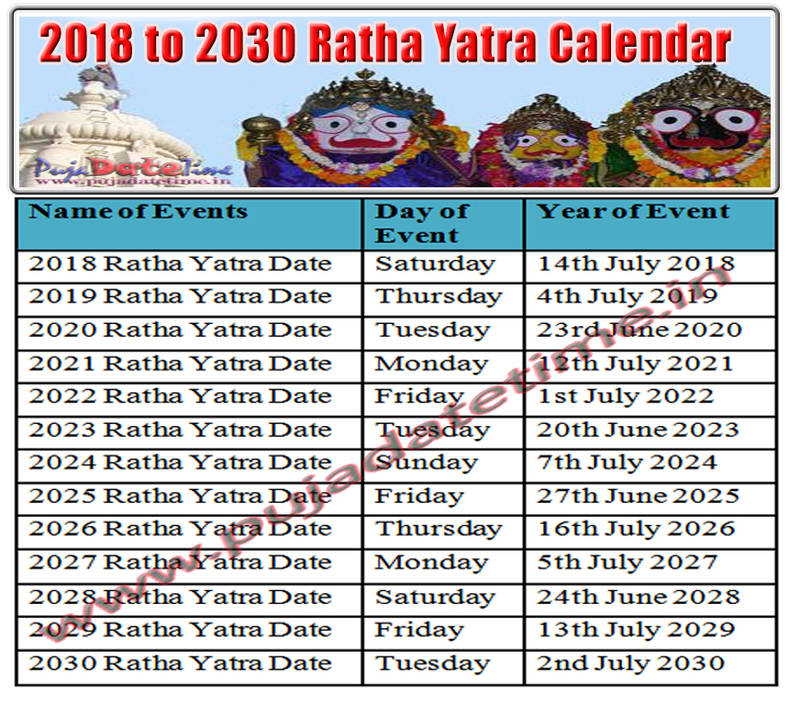 2018 to 2030 Ratha Yatra Date & Time in India, 2018 - 2030 Ratha Yatra Calendar . 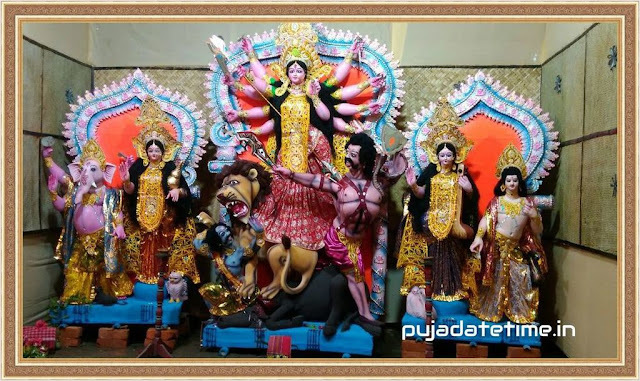 Mainly this festival organized each year at famous Jagannatha temple in Puri yeach year at famous Jagannatha temple in Puri. Ratha Yatra day is decided based on Hindu Lunar calendar and it is fixed on Dwitiya Tithi during Shukla Paksha of Ashada month. Currently it falls in month of June or July in Gregorian calendar.